An organized anarchist cell is suspected of being behind an violent spate of vandalism in Saint-Henri that has rattled residents. But within the anarchist community divisions are emerging about the strategy behind the attacks. Organized anarchists are suspected of being behind a violent spate of vandalism in Saint-Henri that has rattled residents and left many wondering what's next. But within the anarchist community divisions are emerging about the strategy behind the recent anti-gentrification attacks. The latest incident to cause concern among Saint-Henri residents was the deliberate burning of four cars on Léa Roback Street on July 14. No one has claimed responsibility for the attack and police haven't explicitly linked it to anti-gentrification anarchists, but Montreal police Cmdr. Sylvain Parent said it fits an established pattern. "It occurred in Saint-Henri and it involves an Audi and a BMW, which are usually cars associated with a certain luxury," he said. "That's what the people who are anti-gentrification fight [against]." In recent years, a number of Saint-Henri businesses, mostly on Notre-Dame Street, have been vandalized. Anarchists have claimed responsibility for many of the attacks, citing their opposition to the historically working class neighbourhood's shift towards condominium developments and upscale restaurants. If police do make the link between the recent arson attacks and Saint-Henri's anti-gentrification movement, it would bring the number of open investigations of such incidents in the neighbourhood to four. Police efforts to catch those responsible for the attacks have been complicated by their tightly coordinated, highly organized nature. "They're organized in the sense [the perpetrators] are all dressed in black with their heads covered," said Parent. "There are people doing the job, but there are others watching if police or witnesses come by." 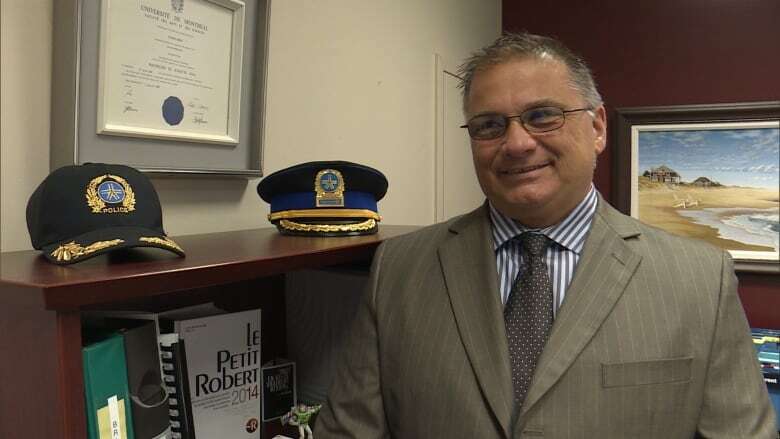 Montreal police Cmdr. Sylvain Parent said the type of cars that were targeted, an Audi and a BMW, suggest an anti-gentrification motive for the arson. 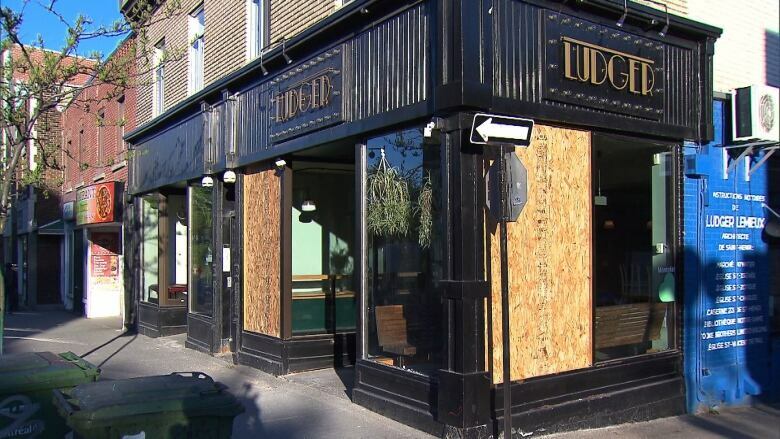 (CBC)He also pointed to tactics used in an incident earlier this year that saw vandals break windows and throw paint into the restaurant 3734 on Notre-Dame Street West. "When they escaped, they left their black clothes behind and got away," he said. Such tactics are well-known to officers, both from experience and through a number of open websites where anarchists discuss their actions anonymously. Many of the tactics Cmdr. Parent describes are found in an online guide called "A recipe for nocturnal direct actions!" "Once you've gained confidence in nocturnal actions, maybe you'll want to experiment with day-time actions that are more visible to passersby and thus harder for the authorities to invisibilize, like the looting of the yuppie grocery store in St. Henri last year," the guide reads, referring to an incident last May. The same website where that guide is found has one recent post, dated July 18, that makes the case for arson "as a tool of social justice." Lately, however, a philosophical rift has emerged within the anarchist community about the logic and strategy behind some anti-gentrification attacks, and their contribution to the anarchist cause. The debate has played out in two documents, both published anonymously this spring. 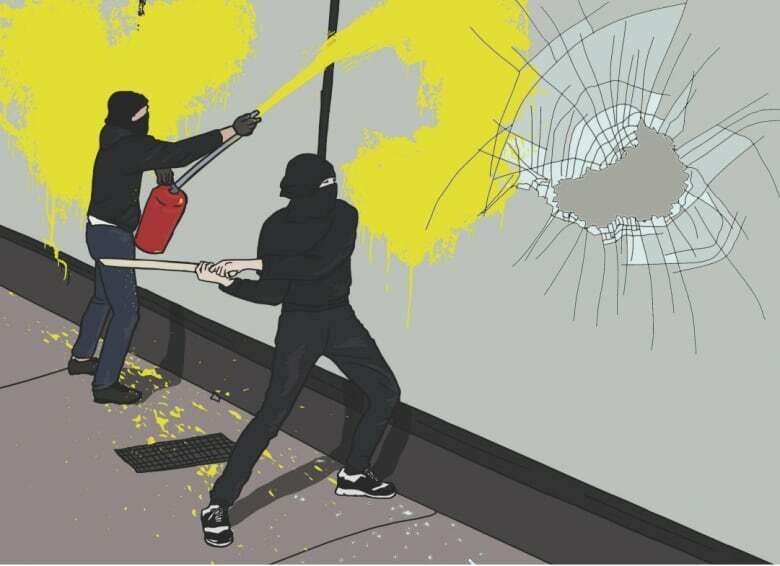 One, entitled "Building Common Grounds," challenges the "disconcerting dogmatism" of those who believe smashing shop windows has stand-alone revolutionary significance. It criticizes what it calls "action for action's sake" with no concern for strategy or context. "Building Common Grounds" gave rise to a lengthy response entitled "Putting into Practice: Adding to the conversation on anarchist activity in Montreal." It dismisses the authors of "Building Common Grounds" as moderates and criticizes other anti-gentrification activists who are focused on alliance building, which is not sufficiently anarchist in their view. The authors also condemn other anarchists for discussing the identity of those behind the anti-gentrification attacks, saying "it's absolutely unacceptable for such speculative sentences to leave one's mouth, even with close comrades." CBC News reached out to several members of the anarchist community, but none would speak on record about the debate. For others involved in the effort to stall gentrification in Saint-Henri, the anarchist vandalism is a double-edged sword. Shannon Franssen is the co-ordinator of Solidarité Saint-Henri, a coalition of 27 community groups and institutions fighting poverty in the neighbourhood. She said the anarchist attacks have brought the media's spotlight to what she feels is an otherwise forgotten issue. "One thing I can say from my personal perspective is that it really gets a lot of media attention, which does help us talk about the negative impacts of gentrification," she said. "It makes people aware that there are really disastrous impacts of this phenomenon on our neighbourhood, on people's lives, on people's quality of life — it's a really big deal for our neighbourhood." Gentrification, she says, has driven out small businesses that many residents relied on, driven up the cost of housing, reduced enrollment in neighbourhood schools, and generally left long-time residents of Saint-Henri feeling unwelcome and unwanted. Being asked to only comment on the violence takes the focus away from those negative impacts, she says. "Very, very, very few people are resorting to violence, but many, many people are feeling angry," she said. "That's the real story."